Recently I was talking to a Turkish friend. Her English is excellent, and we can discuss philosophy or politics easily. Then I asked her for a paper towel. She looked at me blankly. So I used the word ‘napkin’ instead. She still didn’t understand. After she checked her dictionary, she got really embarrassed that she didn’t know this simple, everyday word. This situation is normal, and I see it with English learners all the time. And there’s a really easy way to fix it with almost no effort. What on earth is this awesome solution?! Post-its are the answer. I tried it myself with my Turkish learning. It’s very simple. I found everything in my house that I didn’t know the Turkish word for. Then I wrote those words on Post-its and stuck them to the objects. 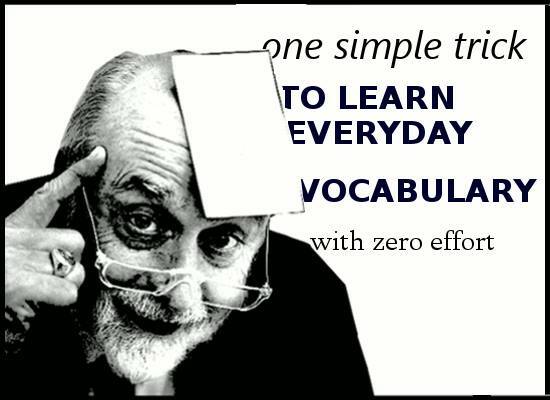 Within a week I had learned almost all the new words without studying them. Simple and effortless! Look around you. Find the things in your house you don’t know the words for and put post-its on them.